Let these Apple Cookies help you celebrate the teachers in your life on teacher appreciation day. In many schools, particularly elementary and preschools, spring brings an event called Teacher Appreciation Day when students and parents alike show our gratitude to the teachers who educate and care for our kids all school-year long. Let’s state the obvious and acknowledge that saving one day per year to give a big THANK YOU doesn’t cover all of the hours and efforts that our schools spend on behalf of our children. Think of Teacher Appreciation Day of the Mother’s or Father’s Day of the education world. Even so, a thank you no matter how big or how small, is always welcome and appreciated. How will you make the most of Teacher Appreciation at your kids’ schools this year? I am still coming up with ideas and thought I’d share this easy idea of baking cookies. Again I turned to my favorite cookie book, Bridget Edward’s Cookie Decorating, and followed her instructions step by step. I am still trying to improve the texture of my icings (particularly how the outline icing blends with the filler icing) but overall these apple cookies looked and tasted worthy of gift giving! 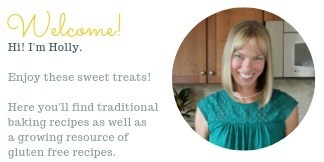 Here is Bridget’s recipe on her site for cookies and royal icing. Now once you have your beautiful cookies made, how about we package them in clear plastic bags and seal them with these sticker labels? Or use a box made for cookie gift giving or a cute take-out box that you can buy from craft stores or the Container store? Any way you wrap these will be adorable and your teachers will appreciate your efforts. Click here to download the labels. I used Avery Round Sticker Labels (22817)and designed these simple labels on the Avery website. 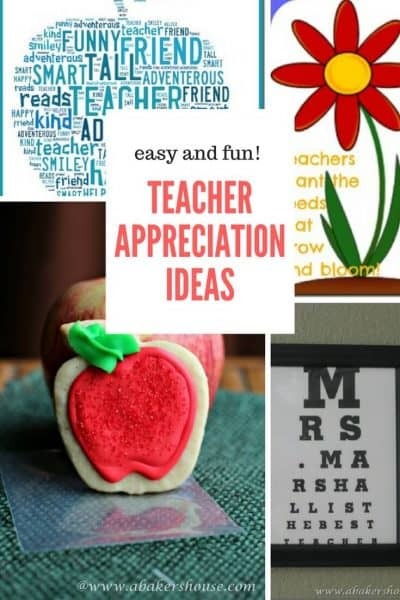 Need more Teacher Appreciation Ideas? Here are some that I shared in past years. When I first started blogging I shared recipes, crafts and more. Now I mainly focus on food but hopefully you’ll enjoy these ideas too! If you would like the printable (without my watermark) please click here. I’d love to hear if you use this for your teachers! Do you need another teacher appreciation idea? Don’t wait—go right to http://www.tagxedo.com as soon as you finish reading this post. It’s almost too easy and too cute not to try it out. This website allows you to create a shape filled with any words you’d like. 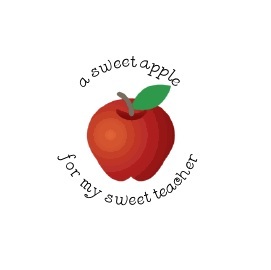 There are a variety of shapes, colors, and choices but you cannot go wrong with this apple for Teacher Appreciation week. Include this printable in your gift of flowers for the teachers in your life. Both kids and teachers alike will be familiar with the standard eye chart. There is a fun website that allows for a bit of creativity while putting together a personalized chart: http://www.eyechartmaker.com. You may have to give this a few tries to get your words to fit precisely. If there is extra space the website adds in random letters at the end. Try adding spaces (or taking away gaps) so that you end up with your letters exactly fitting into the chart. 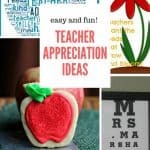 Oh and one more I just help but add here because they are so adorable—- make these apple cake pops for a teacher appreciation treat! Pin with me to save these ideas for later! What teacher wouldn’t love finding these on their desk? So cute and most certainly delicious. Oh how beautiful is that!! I woudn’t want to eat it, it would break my heart to bite into it. Thanks, Ansh, and thanks for sharing these on Facebook too. Hope to see you soon! When I was an elementary school teacher, I learned an important lesson from a family (over time I had three of their children in my classroom) who taught me how meaningful it is to be told you are appreciated. They never hesitated to send me a note about something positive their children had said or done at home related to me or my classroom. They sent treat trays into the teachers lounge for minor as well as major holidays. They made donations to various organizations in my honor as appreciation gifts. Later, as a parent, I tried very hard to copy this family’s example. Even in high school, I insisted my kids bring gifts for the holidays for their teachers. Its not the cost of the gift. Its the message it holds. These cookies are not only cute but they show the time and effort you put into communicating your appreciation! Thanks for sharing, Wendy. My parents are both retired teachers and so I appreciate your comments that much more. It is so important to recognize the work that our teachers do every day. Kind notes should be shared more often than once a year and I need to make more of an effort to do so. Thanks!